West Ham manager Manuel Pellegrini is confident Declan Rice will agree a new contract at the club. Highly-rated teenager Rice has turned down West Ham's initial offer, reported to be worth around £15,000 a week, and his current deal runs out next season. Rice has impressed in midfield for the Hammers so far this season and will not be short of offers from elsewhere, but his manager is not concerned. "Declan I think must try to continue to have good performances, not thinking about more or less money at the moment," said Pellegrini. "Nobody at the club is stupid. He's not a young player anymore and I don't think he will have any problems with his contract in the future." Pellegrini also confirmed Marko Arnautovic is fit to face Manchester United on Saturday. The Austrian striker, who has scored three goals this season, missed last weekend's draw with Chelsea due to a knee problem. 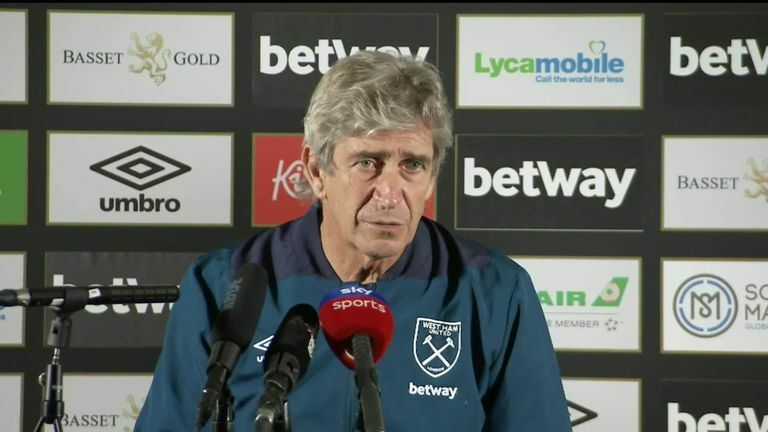 "Marko worked with the squad for the last three days of the week so I think he is 100 per cent fit for tomorrow," added Pellegrini.